This story was produced by South Dakota News Watch. Find more in-depth reporting at www.sdnewswatch.org. A 5-year slide in the agricultural economy in South Dakota and across the Great Plains has left many producers operating at a loss and is putting some in jeopardy of losing their farms. A major decline in most commodity prices is the primary cause of the losses, but extended drought and recent flooding combined with a lingering trade war with China and other importers have added to the financial and emotional stress on farmers and ranchers. Some producers are reducing family living expenses, delaying building repairs or equipment purchases or even selling assets to stay solvent. Recent government reports have highlighted a rise in farm bankruptcies in the Midwest and point to growing concerns over depression among farmers that can lead to suicide. U.S. Department of Agriculture data show that net farm income — essentially a farmer’s take-home pay — is down significantly in all Great Plains states from 2013 to 2017 and that total cash receipts for agricultural products trended downward as well. Scott VanderWal, a farmer from Volga who is president of the South Dakota Farm Bureau Federation and a vice president of the American Farm Bureau, said farmers and ranchers in South Dakota are reeling from the slow but steady decrease in income. In the short term, the downward trend is exerting high stress on farmers and their families and forcing many to make tough financial choices. The overall state economy, including sales tax collections that fund most government services, will take a hit, VanderWal said. But a larger, longer-term worry hovers over the depressed farm economy. According to VanderWal and others, if things don’t bounce back, the potential long-range impacts could alter South Dakota agriculture at a fundamental level for generations years to come. The extended downturn could cause more farmers, ranchers and dairy operators to declare bankruptcy. Older farmers may cash out and leave the industry while they still have some land and equipment equity remaining. Younger producers with limited equity may not be able to sustain losses and could get out of farming. Potential new entrants into the industry may choose another career option if they don’t see a path to profitability. Ultimately, the potential exists that corporate or foreign interests may buy up farms and turn families that were once landowners into contract employees who farm the land but don’t have the stability or commitment to stewardship that follows ownership. Both big-picture data sets and individual balance sheets show the depth of the economic crisis in agriculture. The overall net farm income in South Dakota – the money left over for the state’s 31,000 farmers after they pay all expenses — has been mostly on a steadily decline over the past five years. According to data from the USDA, net farm income in South Dakota fell 61 percent during that five years, from $3.7 billion in 2013 to just $1.4 billion in 2017. Net income fell by 68 percent from the peak year of 2011, when it was $4.5 billion. As a result, the state saw its national ranking in net farm income fall from ninth in 2013 to 19th in 2017. Meanwhile, the number of farms in South Dakota and across the Great Plains remains in steady decline. The Rushmore State had 36,250 operating farms in 1985, about 32,000 farms in 2013 and fewer than 31,000 in 2017. North Dakota lost about 2,000 farms from 2008 to 2017. Debt service and capital payments to lenders was the top expense for South Dakota farmers in 2017 at $1.2 billion, ahead of seed purchases ($916 million), fertilizer ($792 million), miscellaneous costs ($789 million) and livestock purchases ($750 million). 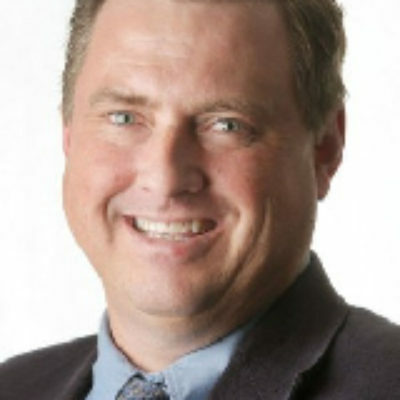 Reduced revenues and rising expenses are a bad combination for the balance sheet of individual farmers, according to Nate Franzen, president of the Agri-Business Division at First Dakota National Bank in Yankton. For nearly 20 years, Franzen and his colleagues have tracked the profitability of the bank’s agricultural borrowers. For a long time, the worst year was 2002 when 64 percent of farmers made a profit and 36 percent lost money, Franzen said. The peak in profits came amid soaring commodity prices in 2012 when 93 percent of farmers operated in the black. Since then, the losses have mounted for many producers and Franzen’s recent profitability reports have all been worse than the former low point in 2002. The current downward trend is different, and perhaps more vexing, than the farm crisis in the 1980s that quickly led to foreclosures and bankruptcies due to a simultaneous crash in prices and spike in loan rates, Franzen said. The slow slide has caused some producers to make drastic choices, Franzen said. Some have sold off land or equipment to raise money quickly. Others have divested of one form of farming or one part of their operation that isn’t as profitable or isn’t their specialty. And a few, especially those near the end of their careers, are making the hardest choice of all. “It’s a grind where they’re whittling away at their equity to where some are saying, enough is enough, and they’re getting out completely,” Franzen said. Outside of their families, the most critical personal relationship for many South Dakota farmers and ranchers is with their banker. In most cases, producers must approach their lender every year to get operating loans of $100,000 or even $500,000 or more in order to finance their farm operations for the coming year. That money is owed with interest at year’s end, and if a producer wants to make a profit, they must generate enough revenue to cover the loan and have money left over. The economic dance has been going on for generations and is one that both sides rely on to keep their businesses in the black. Producers are asked to present a detailed business plan for the coming year to justify the size of their loan or line of credit. Franzen said he and other bankers are sympathetic to the economic downturn but must also keep a close eye on borrowers and their habits to ensure loans are paid back. Franzen said his institution strives for consistency in how it treats customers and approach their loan requests in good times or bad. But he acknowledged that in hard times, bankers must use more scrutiny, eyeing expenses such as planned vacations or equipment purchases and sometimes suggesting that borrowers curtail spending or reduce family living expenses. Franzen said critical components of producer success in South Dakota are a willingness to adapt and try new technologies or methodologies and the ability to create and execute a detailed, long-term business strategy. This chart shows the total agricultural cash receipts for seven Great Plains states. Farm revenues jumped in the mid-2010s when prices and demand were high, but have fallen the past five years in all states. South Dakota sales dropped 11.8 percent from 2013 to 2017. Josh Geigle sees himself in the “have” category in Franzen’s equation. Geigle and his father raise cattle and grow winter wheat, safflower, corn and millet on about 3,900 acres of land known as the Bell Bar Ranch. The farm lies in a small, wind-protected valley along Pleasant Ridge about 15 miles north of Wall in far eastern Pennington County. 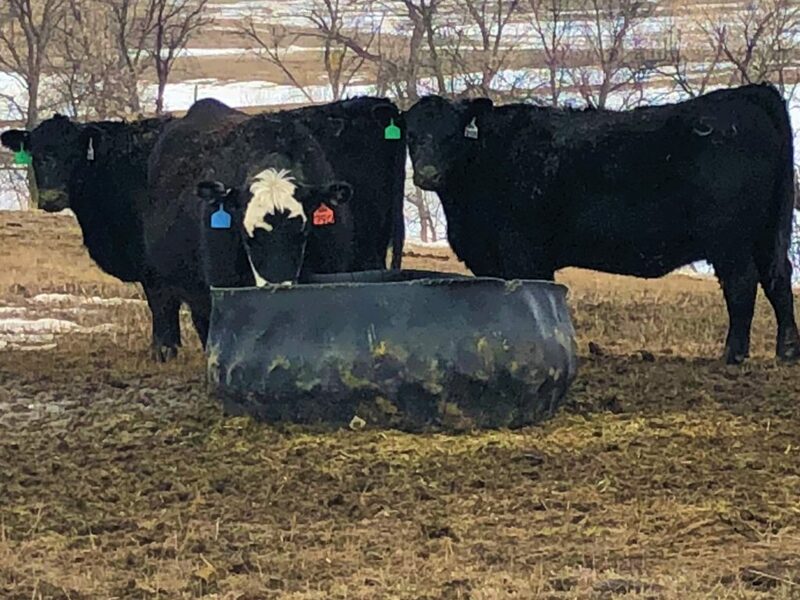 Geigle and other farmers and ranchers across South Dakota knew they were in a boom period in the early 2010s and that the high prices for crops and cattle likely would not last, and they were right. Geigle, who has about 150 to 160 breeding cows at any one time, has seen prices for new calves fall from a high of $1,600 a head around 2013 to roughly $1,000 or less per head now. The financial challenges arise not only due to a loss in income, but because expenses to keep the farm going have increased, further cutting into net revenues. 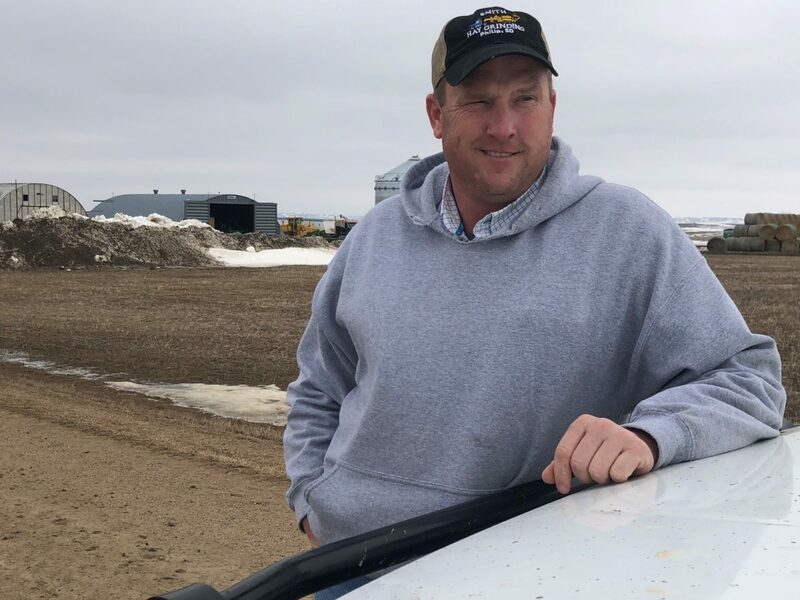 Geigle and others try to cut back on expenses by forgoing a family vacation, scaling back on birthdays and holidays and putting off needed repairs to homes, barns or equipment. Yet there are some costs that cannot be cut, Geigle said. “You can skip that family vacation but you can’t skip buying fertilizer for your crop or you’ll have low yield and it will cost you even more money,” he said. Geigle, who has a degree in agriculture systems from South Dakota State University, said there’s a nagging stress that follows farmers throughout the entire year. Most producers only receive one or two paychecks a year after harvests or cattle sales, and with constant variability in commodity prices, it is difficult to plan for expenses or know when to spend money to aid their farms or families. The most worrisome issues arise when – as with the current agricultural economy – prices fall or weather or other crises arise over a period of several years and producers cannot sustain the extended losses, Geigle said. The recent flooding that has left parts of eastern South Dakota and much of Nebraska awash in snowmelt and rainwater is a serious concern that could cause a short-term or long-term spike in financial losses or even bankruptcies. “Some people are a crop failure away from not being able to cover loans,” Geigle said. 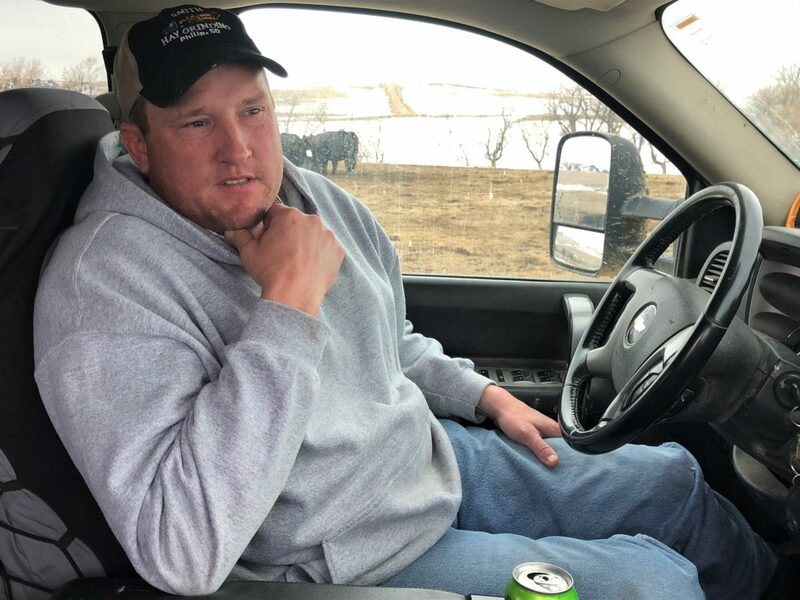 Knowing that, Geigle said he dedicated himself this year to developing a 5-year plan for managing his herd in a new way in hopes of enhancing revenues and limited expenses. He said his banker was impressed and he had no trouble getting his annual six-figure line of credit. Runia, of Estelline, has built up significant equity by farming the same land for 38 years. He runs breeding cattle, grows corn and soybeans and operates a feedlot with his son-in-law. Still, even seasoned producers like Runia are suffering from the economic downturn. On a recent day, Runia awoke at 3:30 a.m. and couldn’t get back to sleep. Runia told his wife he was getting up and got into a loader and did some farm work until daybreak. After that, he did the rest of his daily chores and slept a little better the next night. Overall, Runia is in a strong financial position, but he has seen his long-term equity erode some during the extended downturn. VanderWal, of the farm bureau, said such worry is not new to farmers, but has gotten worse for some producers in the past few years, especially as the average age of farmers continues to rise. He said agriculture was booming while the overall American economy tanked during the Great Recession from 2008 to 2012. But when things bounced back in most sectors of the American economy, the nation’s agricultural industry did not follow suit. VanderWal has made it a mission to protect the future of farming. He recently flew to Wisconsin to attend a program that encourages young people to enter the industry. He has also traveled to Washington to push for emergency payments to help farmers endure the trade war. A top goal remains the expansion of future uses of South Dakota agricultural products and developing of new export markets in Asia, South America and elsewhere. “You can’t idle your way to prosperity, so we continue to try to get better all the time,” VanderWal said. In the meantime, ValderWal and other producers will keep their chins up and hold onto the belief that hard work, ingenuity and some luck will reverse the current negative economic trendlines.